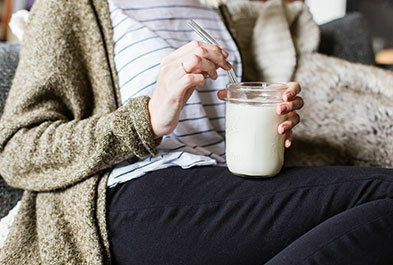 With the prevalence of dairy ingredients in traditional recipes, cooking and baking can be a big challenge for people trying to avoid lactose. 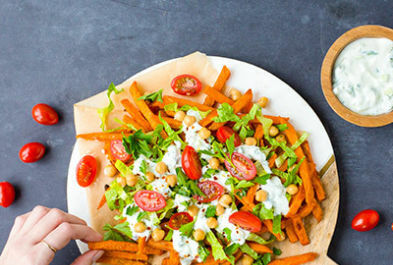 Luckily with just a few tricks and substitutions, many of your favorite recipes can be made lactose free. There are countless recipes that feature buttermilk as a major ingredient. Best known are probably buttermilk biscuits and pancakes, but buttermilk is also beloved for brining fried chicken and as a flavor booster in pound cakes and salad dressings. Buttermilk in any kind of recipe can easily be substituted with our lactose-free kefir at a one-to-one ratio. After many experiments in our kitchen, we found the chicken to be equally juicy, biscuits just as moist, and salad dressings creamy and flavorful. 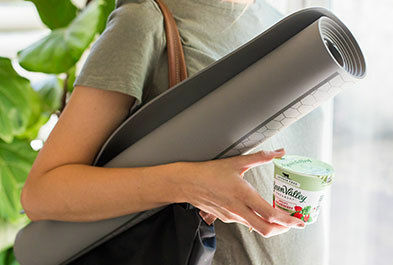 For a richer version, be sure to use our whole milk kefir. This is your lactose-free substitute for any recipe that calls for milk. We use this method to make béchamel sauce, cakes, baked goods of all kinds, curries, and more. It works like a charm every time. Take a small 1-cup sized canning jar, add one part lactose-free sour cream, two parts water, close tightly and shake vigorously. It’s ok to eyeball this one. 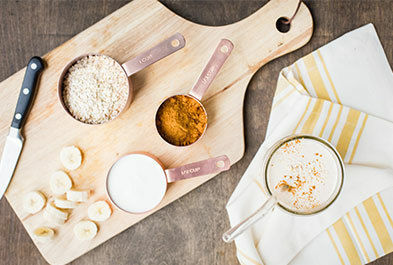 Once it is completely blended, this mix can be used instead of milk in the amount the recipe calls for. 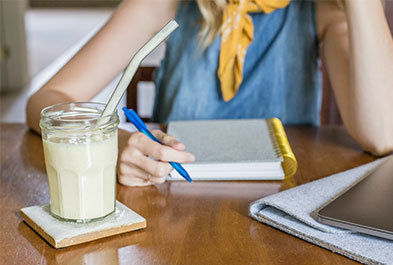 To make our products lactose free, we add an enzyme called lactase to the milk and cream, that breaks down lactose (milk sugar) into two other, easily digestible sugars: glucose and galactose. These two are more easily detected by your taste buds than lactose. So, although no additional sugar is added, lactose free products tend to taste a little sweeter. 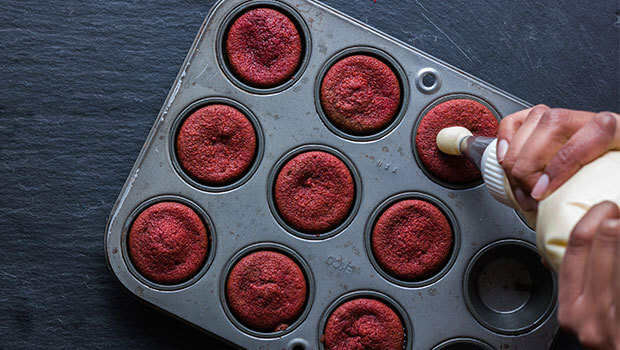 We like to bake with less sugar in our kitchen anyway, and this little trick helps us to reduce the sugar in our recipes even further. We recommend reducing the sugar in your recipe of choice by ¼ when using lactose-free dairy instead of its regular counterpart. 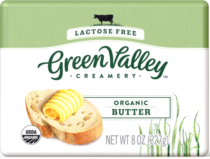 As mentioned above, we split the lactose with lactase enzyme into glucose and galactose. Not only do these two taste sweeter, they also have a lower melting and burning point than lactose (for the geeks: Lactose = 397°F, Glucose = 295°F, Galactose = 333°F). So be a little careful when baking with lactose-free ingredients. Check cakes to make sure they don’t burn. If you notice your baked good is browning a little faster than expected, simply cover it with a piece and tin foil and continue to bake until done. What would a potluck be without a classic ricotta and spinach lasagna? Unfortunately, ricotta cheese is not suitable for people trying to avoid lactose. 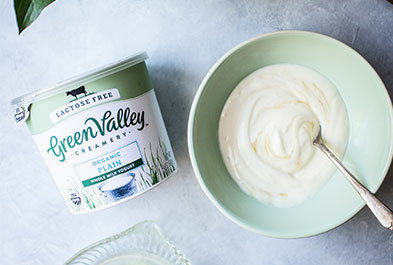 Luckily, there is an easy way to create a lactose free ricotta substitute, we call “yogurt cheese”, by straining our lactose-free yogurt overnight. Line a fine-meshed sieve with four layers of cheesecloth (from the hardware store). Set the sieve on top of a medium-sized glass or metal bowl and fill it with one 24oz. 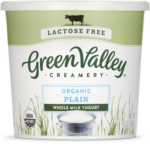 cup of plain lactose-free yogurt – lowfat or whole milk depending on your preference. Place this in your fridge overnight to rest. The next day, the majority of whey will have drained into the bowl and can be discarded. 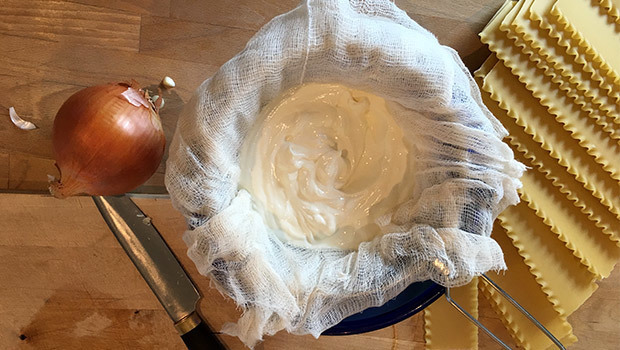 What remains is a thick, ricotta-like fresh cheese that can be used in any recipe calling for Ricotta.